Remington Ammunition Premier Rifle Ammo for Hunting/Target. 223 Remington/5.56 NATO, 69 GR, Sierra MatchKing BTHP. Box price, 20 Rounds/Box. 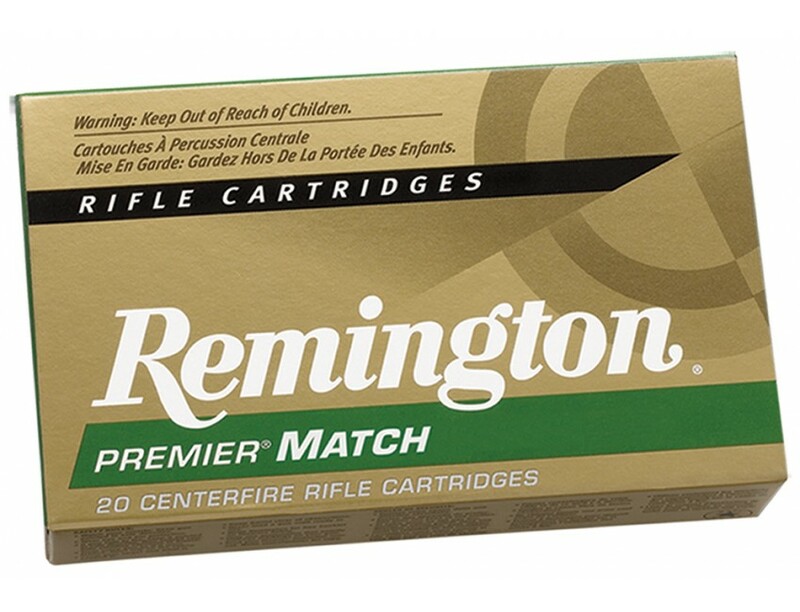 Remington's Premier Match ammunition offers factory loads that bring the phrase "Tack Driver" to life. Using only match-grade bullets, Premier Match ammunition employs special loading practices ensuring world-class performance and accuracy with every shot.This 223 Remington is loaded with 69 GR MatchKing BTHP bullets.